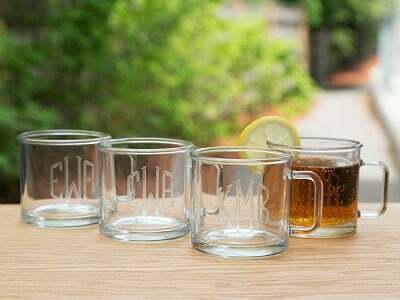 If you want to create personalized glasses, Susquehanna Glass Company is one of the best around. 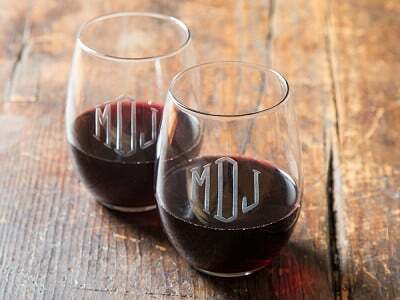 This third-generation operation has a 100+ year history of making etched glass in the USA, and they’ll memorialize your initials or the coordinates of a favorite place on mugs, rocks glasses, and wine glasses. Map out your allegiance to a location with their Latitude and Longitude design—a Grommet exclusive. All you need to do is choose the place, like your hometown or favorite vacation spot. They’ll find the coordinates and sand etch them on for a clean, crisp finish. 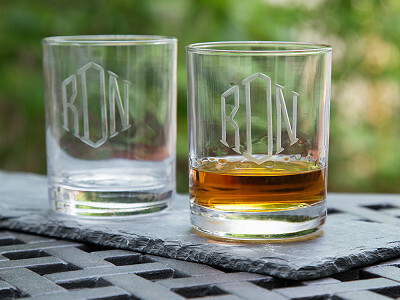 Another great use for these: a memorable gift for weddings (choose the nuptial’s location) or a graduation (the college town). 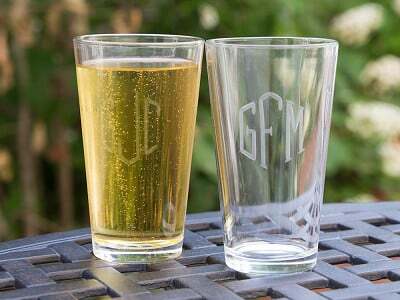 If initials are more your thing, choose the hand etched monogram designs. Susquehanna hand cuts each by holding the glass against a rotating stone wheel. It’s a sophisticated touch that looks timeless and will last for years. Susquehanna believes glass can have personal meaning. Their careful craftsmanship in capturing special places and initials proves them right. 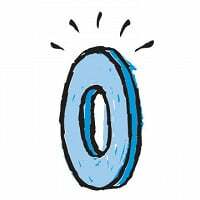 Hello Grommet-eers! I’m Tara, designer and product developer at Susquehanna Glass. 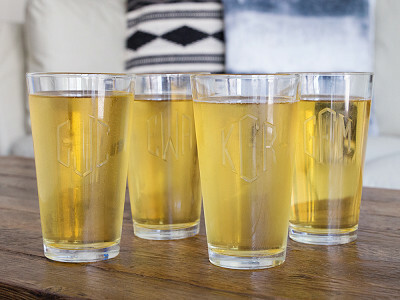 My team and I are super excited to introduce our personalized glassware to The Grommet world! I look forward to answering any questions you have regarding our products. 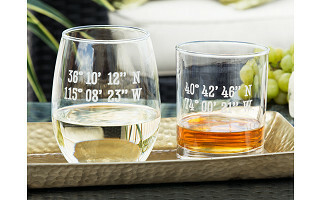 Hi - What is the shipping time for 4 glasses with longitude/latitude? I am thinking of buying this for an engagement gift. @Maryellen We will ship within 5 business days of receiving your order. Then you would have to allow the time for FedEx to deliver to your location. @Tara Thank you! They will make a lovely gift! 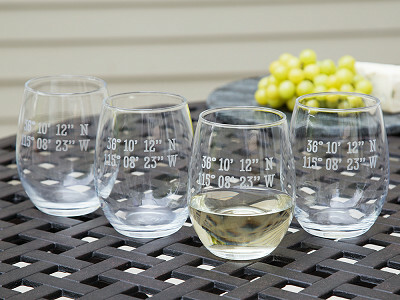 Love the glasses and just ordered the set of two stemless wine glasses. 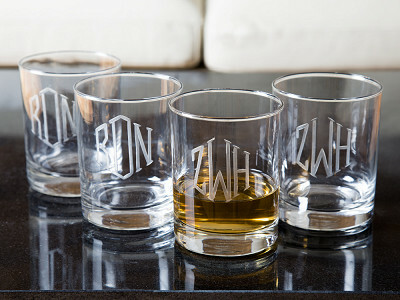 Wanted to make sure I'm getting two because it l00ks as if you are ordering one glass. In order words is it $26.95 for two? Thanks. @Gail I agree, I find the pricing confusing. I was looking at the four rocks glasses. $26.95 seems too cheap for four and too expensive for just one. Hi Judi, you will get a set of two unless it specifies a set of four. The pictures that aren't labeled, give you the choice between a set of two and a set of four. Sorry for the confusion. 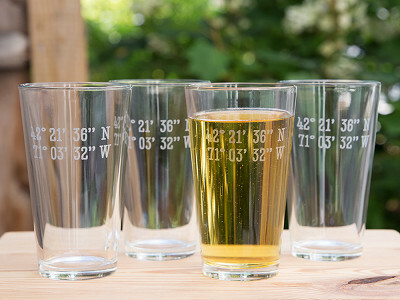 I would love it if you'd offer Pint glasses. With the huge growth in Micro-brews I think they'd be a hit. I'd buy some. 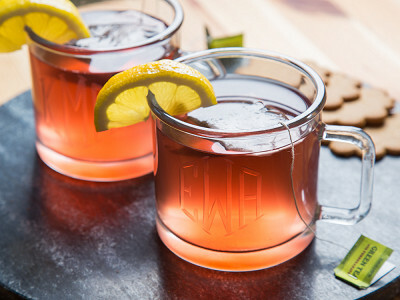 @Andrew The "camp mugs" are 12-ounce . . . which makes me think they might work, no? Do you offer a gift box? @David Sorry we do not have gift boxing. Our daughter's name will require a four-letter monogram [RDKB] without any variation in the size of those letters ~ would you do this for us? Obviously, I could order a set of four (leaving my daughter out), but that's not acceptable. 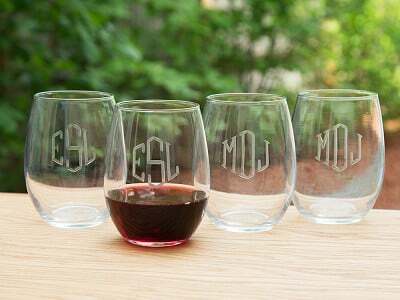 Could you sell a set of four in the usual three-letter monogram style, and add one more for my daughter with her four initials in a straight-line (none larger than the others)? Cost? @William Unfortunately we can not do a four-letter monogram in this design. 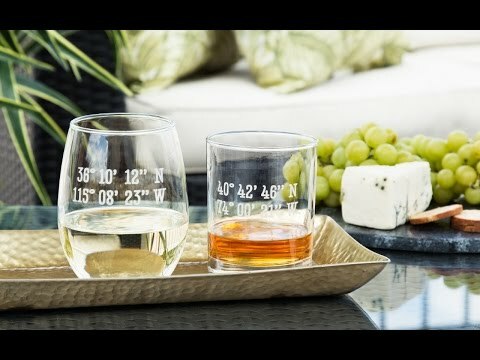 Is it possible to get 4 different locations on the wine glasses, instead of a set of 4 with the same longitude and latitude? Thanks! @courtney Unfortunately due to the process we are unable to offer multiple latitude/longitude coordinates within a single set of glasses. We exhausted all avenues trying to find glasses with a ship etched on them like ones we used and liked when guests at a relative's home. Then we happened upon some on a trip to Mystic Seaport in CT and learned that Susquehanna was the maker. 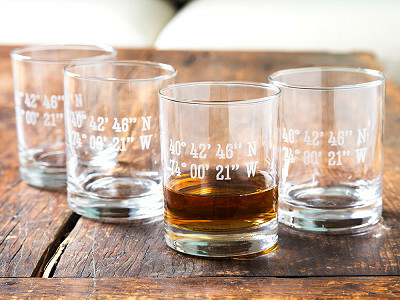 We contacted them and have been enjoying our own set of the ship glasses ever since. A very good experience ordering from them; grateful to know they have a long history making a quality product here in the States. @Emily Thank you so much for sharing your experience! Instead of providing an address, can I just provide the Latitude/Longitude coordinates? It's easy to find these using Google Earth, and frankly the place I have in mind doesn't really have an address. Hi Frank, Susquehanna Glass uses their own format for coordinates which may not be provided by Google Earth. 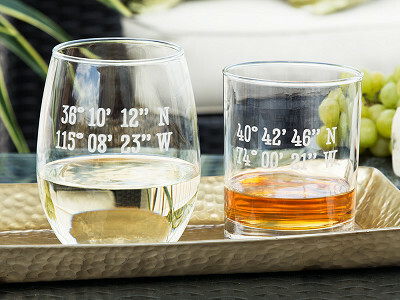 To avoid any confusion, we are having people enter the closest address for the coordinates they would like etched. 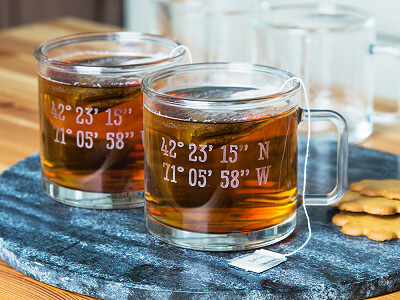 During the checkout process, you can put the specific coordinates you find in the gift message if you think a more detailed instruction is needed.